The Teatro-Museo Dalí is billed as the world's largest Surrealist structure. The Teatro-Museo Dalí is the former site where Dalí had his first public exhibit. The church where he was baptized and later buried is located across the street, and he grew up three blocks away. 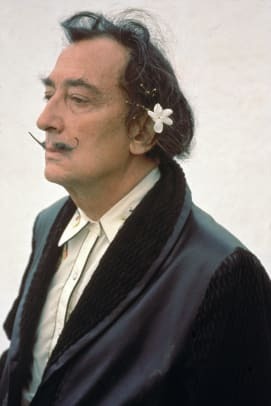 Salvador Dalí was born on May 11, 1904, in Figueres, Spain. From an early age Dalí was encouraged to practice his art, and he would eventually go on to study at an academy in Madrid. In the 1920s, he went to Paris and began interacting with artists such as Picasso, Magritte and Miró, which led to Dalí&apos;s first Surrealist phase. He is perhaps best known for his 1931 painting The Persistence of Memory, showing melting clocks in a landscape setting. The rise of fascist leader Francisco Franco in Spain led to the artist&apos;s expulsion from the Surrealist movement, but that didn&apos;t stop him from painting. Dalí died in Figueres in 1989. Salvador Dalí was born Salvador Felipe Jacinto Dalí y Domenech on May 11, 1904, in Figueres, Spain, located 16 miles from the French border in the foothills of the Pyrenees Mountains. His father, Salvador Dalí y Cusi, was a middle class lawyer and notary. 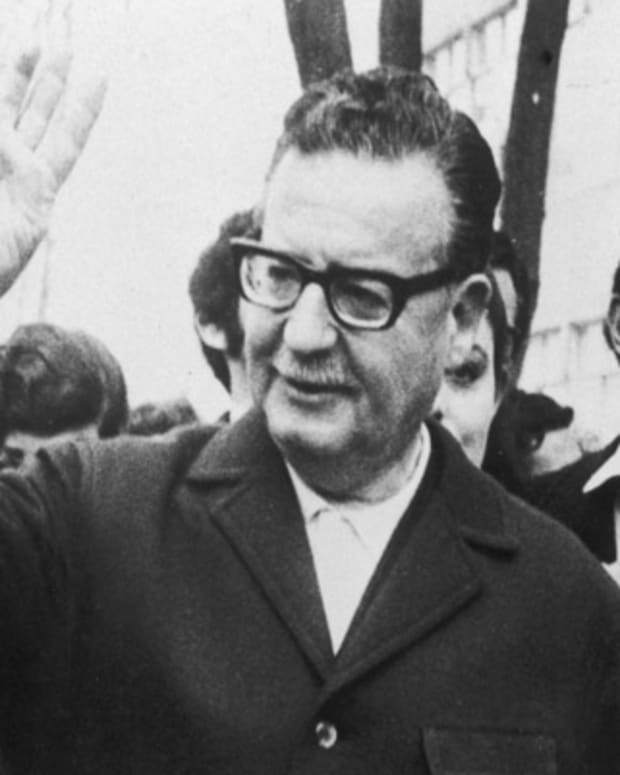 Salvador&apos;s father had a strict disciplinary approach to raising children—a style of child-rearing which contrasted sharply with that of his mother, Felipa Domenech Ferres. 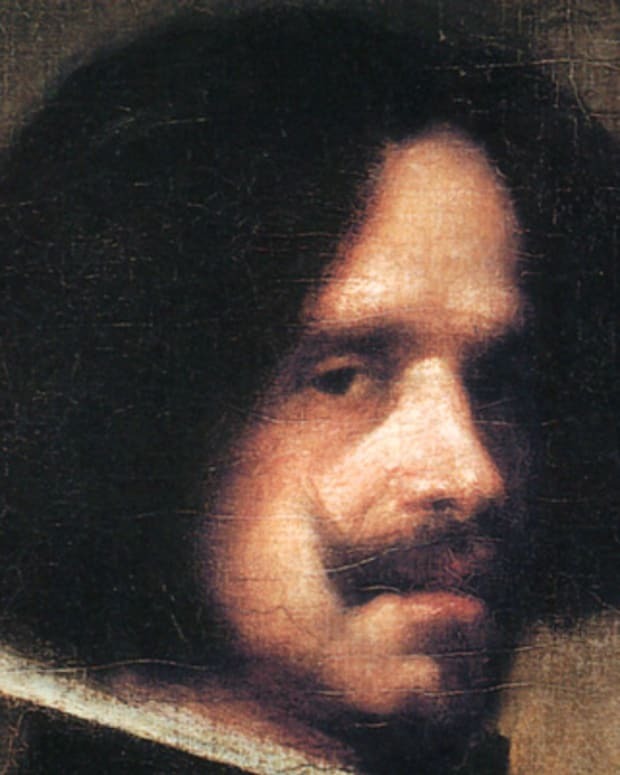 She often indulged young Salvador in his art and early eccentricities. It has been said that young Salvador was a precocious and intelligent child, prone to fits of anger against his parents and schoolmates. 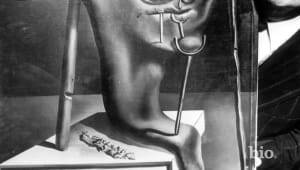 Consequently, Dalí was subjected to furious acts of cruelty by more dominant students or his father. The elder Salvador wouldn&apos;t tolerate his son&apos;s outbursts or eccentricities, and punished him severely. Their relationship deteriorated when Salvador was still young, exacerbated by competition between he and his father for Felipa&apos;s affection. Dalí had an older brother, born nine months before him, also named Salvador, who died of gastroenteritis. Later in his life, Dalí often related the story that when he was 5 years old, his parents took him to the grave of his older brother and told him he was his brother&apos;s reincarnation. In the metaphysical prose he frequently used, Dalí recalled, "[we] resembled each other like two drops of water, but we had different reflections." 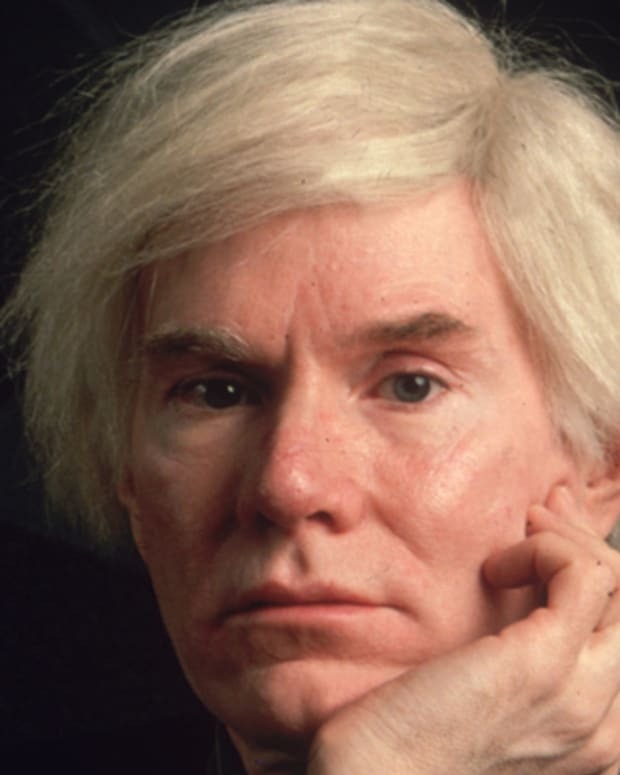 He "was probably a first version of myself, but conceived too much in the absolute." Upon recognizing his immense talent, Salvador Dalí&apos;s parents sent him to drawing school at the Colegio de Hermanos Maristas and the Instituto in Figueres, Spain, in 1916. He was not a serious student, preferring to daydream in class and stand out as the class eccentric, wearing odd clothing and long hair. After that first year at art school, he discovered modern painting in Cadaques while vacationing with his family. There, he also met Ramon Pichot, a local artist who frequently visited Paris. The following year, his father organized an exhibition of Salvador&apos;s charcoal drawings in the family home. By 1919, the young artist had his first public exhibition, at the Municipal Theatre of Figueres. 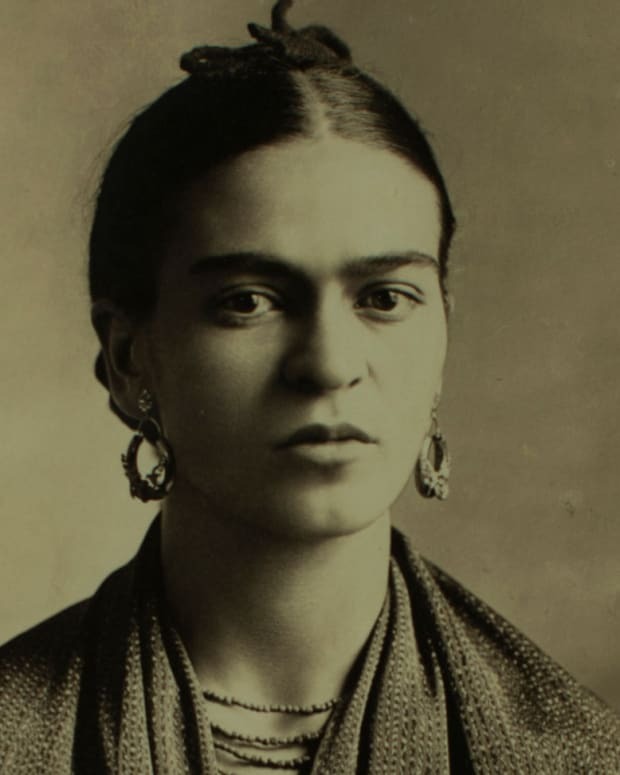 In 1921, Dalí&apos;s mother, Felipa, died of breast cancer. 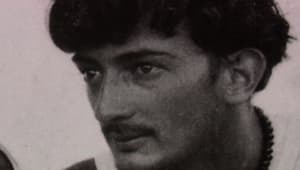 Dalí was 16 years old at the time, and was devastated by the loss. 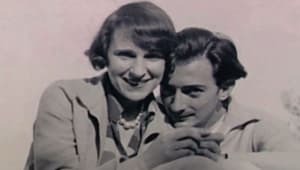 His father married his deceased wife&apos;s sister, which did not endear the younger Dalí any closer to his father, though he respected his aunt. Father and son would battle over many different issues throughout their lives, until the elder Dalí&apos;s death. In 1922, Dalí enrolled at the Academia de San Fernando in Madrid. 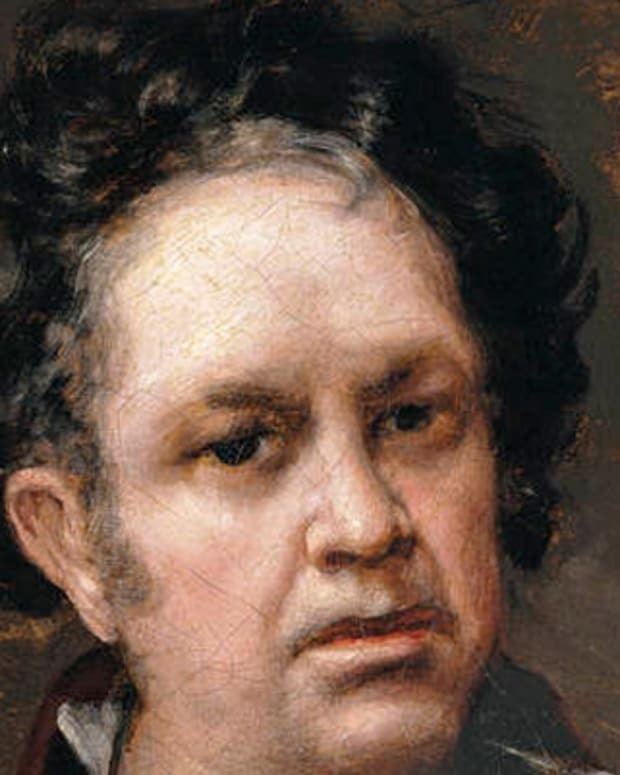 He stayed at the school&apos;s student residence and soon brought his eccentricity to a new level, growing long hair and sideburns, and dressing in the style of English Aesthetes of the late 19th century. During this time, he was influenced by several different artistic styles, including Metaphysics and Cubism, which earned him attention from his fellow students—though he probably didn&apos;t yet understand the Cubist movement entirely. 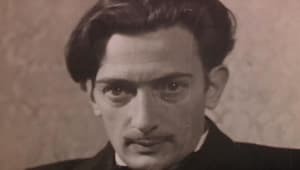 In 1923, Dalí was suspended from the academy for criticizing his teachers and allegedly starting a riot among students over the academy&apos;s choice of a professorship. That same year, he was arrested and briefly imprisoned in Gerona for allegedly supporting the Separatist movement, though Dalí was actually apolitical at the time (and remained so throughout most of his life). He returned to the academy in 1926, but was permanently expelled shortly before his final exams for declaring that no member of the faculty was competent enough to examine him. 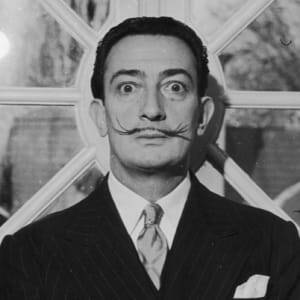 While in school, Dalí began exploring many forms of art including classical painters like Raphael, Bronzino and Diego Velázquez (from whom he adopted his signature curled moustache). 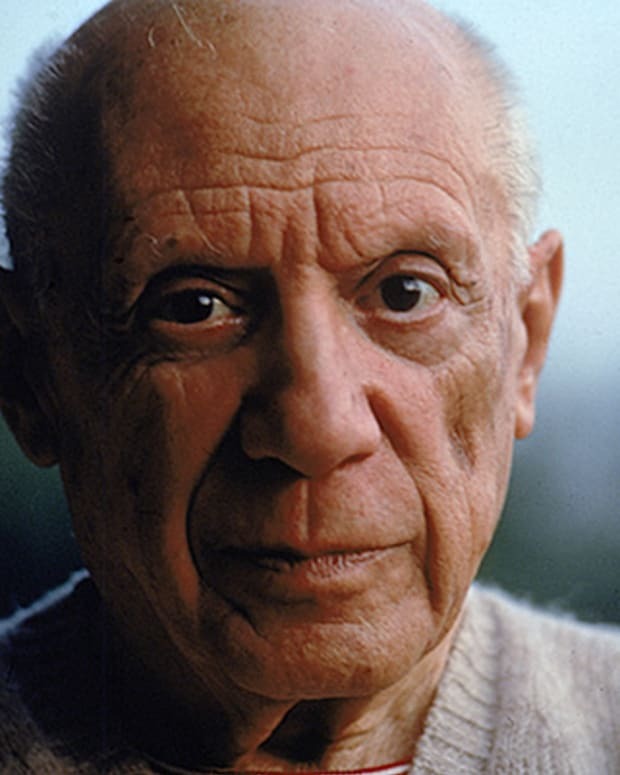 He also dabbled in avant-garde art movements such as Dada, a post-World War I anti-establishment movement. While Dalí&apos;s apolitical outlook on life prevented him from becoming a strict follower, the Dada philosophy influenced his work throughout his life. In between 1926 and 1929, Dalí made several trips to Paris, where he met with influential painters and intellectuals such as Pablo Picasso, whom he revered. During this time, Dalí painted a number of works that displayed Picasso&apos;s influence. He also met Joan Miró, the Spanish painter and sculptor who, along with poet Paul Éluard and painter René Magritte, introduced Dalí to Surrealism. By this time, Dalí was working with styles of Impressionism, Futurism and Cubism. Dalí&apos;s paintings became associated with three general themes: 1) man&apos;s universe and sensations, 2) sexual symbolism and 3) ideographic imagery. All of this experimentation led to Dalí&apos;s first Surrealistic period in 1929. These oil paintings were small collages of his dream images. His work employed a meticulous classical technique, influenced by Renaissance artists, that contradicted the "unreal dream" space that he created with strange hallucinatory characters. Even before this period, Dalí was an avid reader of Sigmund Freud&apos;s psychoanalytic theories. Dalí&apos;s major contribution to the Surrealist movement was what he called the "paranoiac-critical method," a mental exercise of accessing the subconscious to enhance artistic creativity. Dalí would use the method to create a reality from his dreams and subconscious thoughts, thus mentally changing reality to what he wanted it to be and not necessarily what it was. For Dalí, it became a way of life. 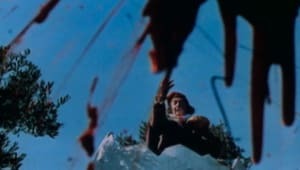 In 1929, Salvador Dalí expanded his artistic exploration into the world of film-making when he collaborated with Luis Buñuel on two films, Un Chien andalou (An Andalusian Dog) and L&apos;Age d&apos;or (The Golden Age, 1930), the former of which is known for its opening scene—a simulated slashing of a human eye by a razor. Dalí&apos;s art appeared several years later in another film, Alfred Hitchcock&apos;s Spellbound (1945), starring Gregory Peck and Ingrid Bergman. 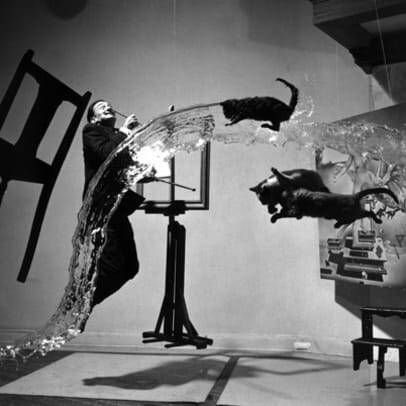 Dalí&apos;s paintings were used in a dream sequence in the film, and aided the plot by giving clues to solving the secret to character John Ballantine&apos;s psychological problems. In August 1929, Dalí met Elena Dmitrievna Diakonova (sometimes written as Elena Ivanorna Diakonova), a Russian immigrant 10 years his senior. 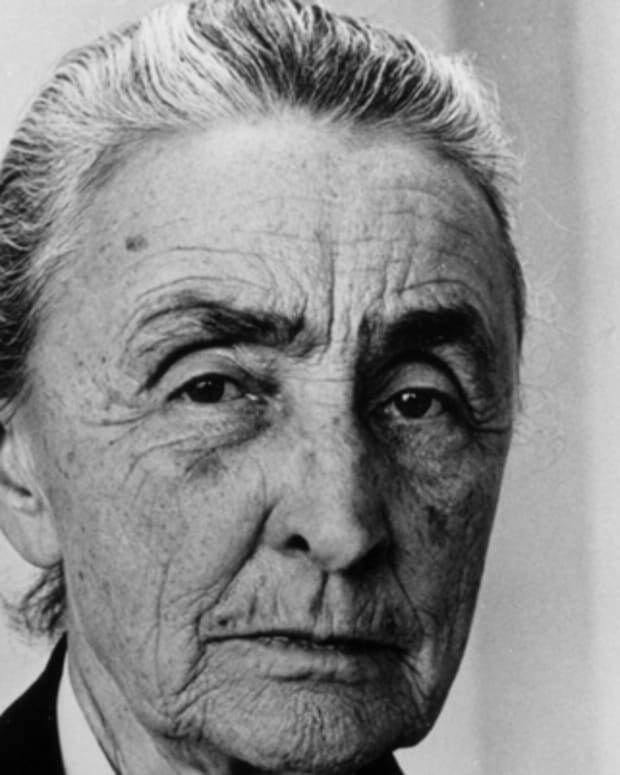 At the time, she was the wife of Surrealist writer Paul Éluard. A strong mental and physical attraction developed between Dalí and Diakonova, and she soon left Éluard for her new lover. Also known as "Gala," Diakonova was Dalí&apos;s muse and inspiration, and would eventually become his wife. She helped balance—or one might say counterbalance—the creative forces in Dalí&apos;s life. With his wild expressions and fantasies, he wasn&apos;t capable of dealing with the business side of being an artist. Gala took care of his legal and financial matters, and negotiated contracts with dealers and exhibition promoters. The two were married in a civil ceremony in 1934. By 1930, Salvador Dalí had become a notorious figure of the Surrealist movement. Marie-Laure de Noailles and Viscount and Viscountess Charles were his first patrons. French aristocrats, both husband and wife invested heavily in avant-garde art in the early 20th century. One of Dalí&apos;s most famous paintings produced at this time—and perhaps the best-known Surrealist work—was The Persistence of Memory (1931). The painting, sometimes called Soft Watches, shows melting pocket watches in a landscape setting. It is said that the painting conveys several ideas within the image, chiefly that time is not rigid and everything is destructible. By the mid-1930s, Salvador Dalí had become as notorious for his colorful personality as his artwork, and, for some art critics, the former was overshadowing the latter. 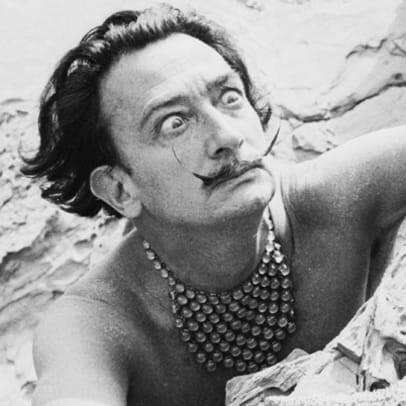 Often sporting an exaggeratedly long mustache, a cape and a walking stick, Dalí&apos;s public appearances exhibited some unusual behavior. In 1934, art dealer Julian Levy introduced Dalí to America in a New York exhibition that caused quite a lot of controversy. At a ball held in his honor, Dalí, in characteristic flamboyant style, appeared wearing a glass case across his chest which contained a brassiere. As war approached in Europe, specifically in Spain, Dalí clashed with members of the Surrealist movement. In a "trial" held in 1934, he was expelled from the group. 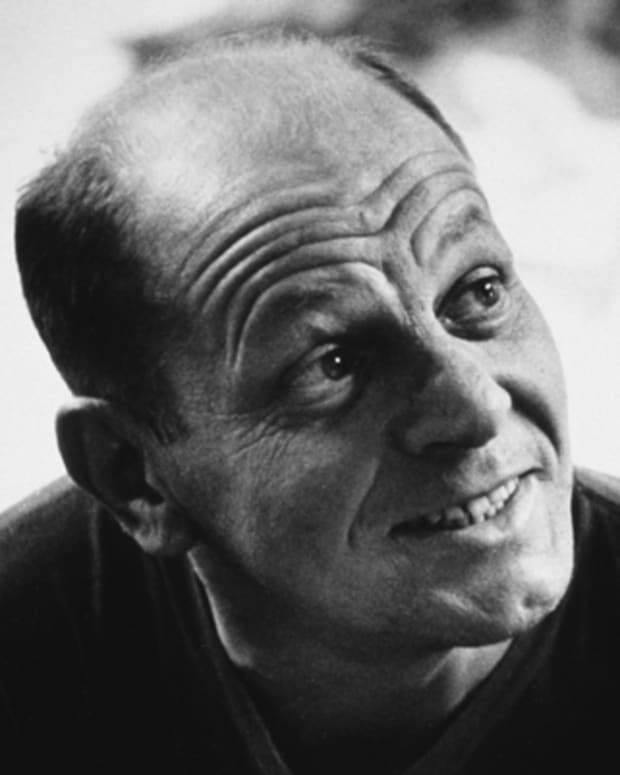 He had refused to take a stance against Spanish militant Francisco Franco (while Surrealist artists like Luis Buñuel, Picasso and Miró had), but it&apos;s unclear whether this directly led to his expulsion. Officially, Dalí was notified that his expulsion was due to repeated "counter-revolutionary activity involving the celebration of fascism under Hitler." It is also likely that members of the movement were aghast at some of Dalí&apos;s public antics. However, some art historians believe that his expulsion had been driven more by his feud with Surrealist leader André Breton. Despite his expulsion from the movement, Dalí continued to participate in several international Surrealist exhibitions into the 1940s. 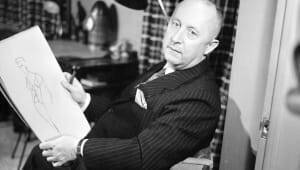 At the opening of the London Surrealist exhibition in 1936, he delivered a lecture titled "Fantomes paranoiaques athentiques" ("Authentic paranoid ghosts") while dressed in a wetsuit, carrying a billiard cue and walking a pair of Russian wolfhounds. He later said that his attire was a depiction of "plunging into the depths" of the human mind. During World War II, Dalí and his wife moved to the United States. They remained there until 1948, when they moved back to his beloved Catalonia. These were important years for Dalí. 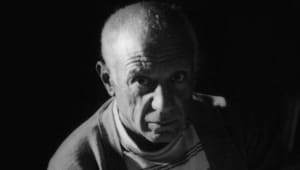 The Metropolitan Museum of Modern Art in New York gave him his own retrospective exhibit in 1941. This was followed by the publication of his autobiography, The Secret Life of Salvador Dalí (1942). Also during this time, Dalí&apos;s focus moved away from Surrealism and into his classical period. His feud with members of the Surrealist movement continued, but Dalí seemed undaunted. His ever-expanding mind had ventured into new subjects. Over the next 15 years, Dalí painted a series of 19 large canvases that included scientific, historical or religious themes. 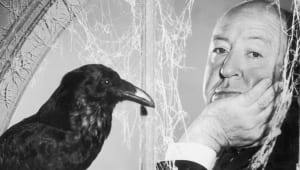 He often called this period "Nuclear Mysticism." During this time, his artwork took on a technical brilliance combining meticulous detail with fantastic and limitless imagination. He would incorporate optical illusions, holography and geometry within his paintings. Much of his work contained images depicting divine geometry, the DNA, the Hyper Cube and religious themes of Chastity. From 1960 to 1974, Dalí dedicated much of his time to creating the Teatro-Museo Dalí (Dalí Theatre-Museum) in Figueres. The museum&apos;s building had formerly housed the Municipal Theatre of Figueres, where Dalí saw his public exhibition at the age of 14 (the original 19th century structure had been destroyed near the end of the Spanish Civil War). Located across the street from the Teatro-Museo Dalí is the Church of Sant Pere, where Dalí was baptized and received his first communion (his funeral would later be held there as well), and just three blocks away is the house where he was born. The Teatro-Museo Dalí officially opened in 1974. The new building was formed from the ruins of the old and based on one of Dalí&apos;s designs, and is billed as the world&apos;s largest Surrealist structure, containing a series of spaces that form a single artistic object where each element is an inextricable part of the whole. 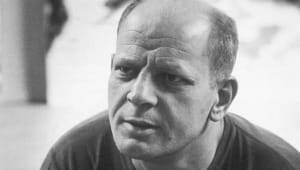 The site is also known for housing the broadest range of work by the artist, from his earliest artistic experiences to works that he created during the last years of this life. Several works on permanent display were created expressly for the museum. Also in &apos;74, Dalí dissolved his business relationship with manager Peter Moore. As a result, all rights to his collection were sold without his permission by other business managers and he lost much of his wealth. Two wealthy American art collectors, A. Reynolds Morse and his wife, Eleanor, who had known Dalí since 1942, set up an organization called "Friends of Dalí" and a foundation to help boost the artist&apos;s finances. The organization also established the Salvador Dalí Museum in St. Petersburg, Florida. In 1980, Dalí was forced to retire from painting due to a motor disorder that caused permanent trembling and weakness in his hands. No longer able to hold a paint brush, he&apos;d lost the ability to express himself the way he knew best. More tragedy struck in 1982, when Dalí&apos;s beloved wife and friend, Gala, died. The two events sent him into a deep depression. He moved to Pubol, in a castle that he had purchased and remodeled for Gala, possibly to hide from the public or, as some speculate, to die. In 1984, Dalí was severely burned in a fire. Due to his injuries, he was confined to wheelchair. Friends, patrons and fellow artists rescued him from the castle and returned him to Figueres, making him comfortable at the Teatro-Museo. On June 26, 2017, a judge in a Madrid court ordered that Dalí’s body be exhumed to settle a paternity case. A 61-year-old Spanish woman named María Pilar Abel Martínez claimed that her mother had an affair with the artist while she was working as a maid for his neighbors in Port Lligat, a town in northeastern Spain. The judge ordered the artist’s body to be exhumed because of a "lack of other biological or personal remains" to compare to Martinez&apos;s DNA. The Gala-Salvador Dalí Foundation, which manages Dalí’s estate, appealed the ruling, but the exhumation went ahead the following month. In September, results from the DNA tests revealed that Dalí was not father. 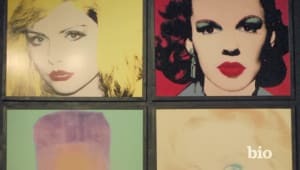 That October, the artist was back in the news with the announcement of an exhibition at the Dalí museum in Saint Petersburg, Florida, to celebrate his friendship and collaboration with Italian fashion designer Elsa Schiaparelli. The two were known for the joint creation of a "lobster dress" worn by American socialite Wallis Simpson, who later married English King Edward VIII.